Some of these designs are actually pretty good. I’ll post some more if anyone wants them! 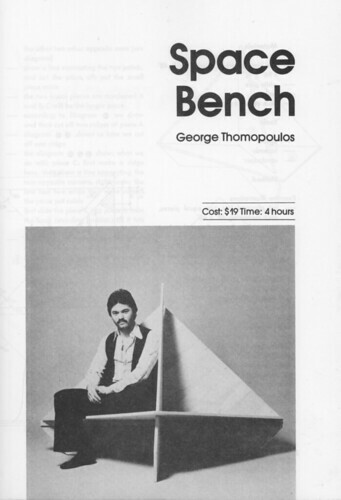 I don’t know if that’s Spiros on the cover there, sitting on this Space Bench, or if it’s George Thomopolos, but whoever he is, he’s… groovy. It’s 1979 and they’re in New York City and apparently they’re going to build some interesting furniture in 4 hours. The $19 price tag definitely needs updating. It’s probably more like US$40-80—more if you use eco-plywood—and that’s not including paint or stain. There’s clearly a Gerrit Rietveld influence throughout the book, which considering the materials is to the furniture’s advantage. 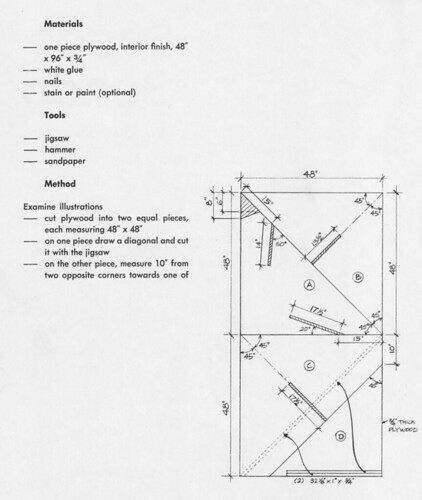 Click below to find page 2 of the plans for building this bench or go to my Flickr set for high res versions. 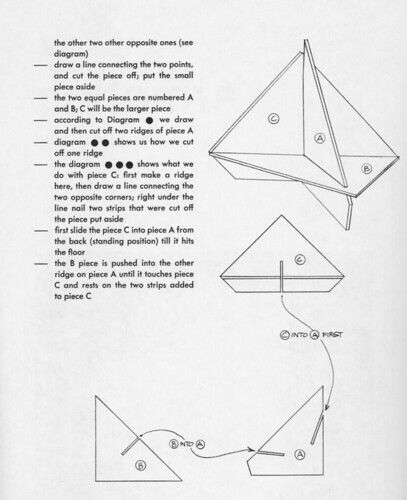 I don’t know where my design partner Sarah found this book, but it’s fantastic. This entry was posted on Wednesday, January 7th, 2009 at 4:53 pm	and is filed under book, design, DIY, furniture. You can follow any responses to this entry through the RSS 2.0 feed. You can leave a response, or trackback from your own site. I’d love to see more. I’ve not seen this before, but the design style is interesting, and as you say, with more than a passing nod to Rietveld.